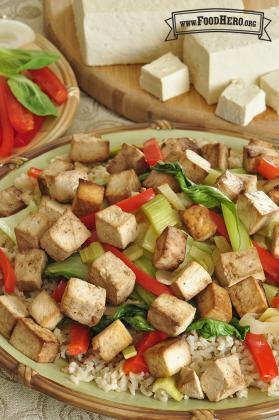 Drain tofu and place pieces on a baking sheet. Foil on the baking sheet makes cleanup easy. Bake at 350 degrees until the tofu is firm and lightly browned, about 30 minutes. Turn pieces once during baking.